Recent developments in the field of medicine and cosmetology help ladies to prolong youth, to hide various shortcomings and maintain the beauty of hair, nails and keep the perfect overall condition. Recently, eyelashes lift procedure gains popularity. It helps to strengthen eyelashes and make them invulnerable to adverse environmental factors, the impact of low-quality cosmetics, aggressive components of face care products, etc. Discover new beauty secrets with Jiji! The therapeutic effect. Keratin makes lashes thick, lush, long, and strong. Safety. Products, used for lift, do not cause any harm to the eyelashes. In addition, this procedure is absolutely painless. Some girls notice the appearance of lacrimation and burning in the eyelashes, but these feelings quickly pass and are forgotten. Prolonged effect. Properly conducted lift will help you forget about the problems with the eyelashes for 2-3 months. After next repeated procedure, the hairs on the eyes will look longer, bigger and stronger. The lack of special care. Lifted eyelashes do not require any special handling to preserve the result, above all to comply with basic standards of hygiene and to carry out normal daily care of eyelashes. Natural appearance of eyelashes. After lift, the lashes will look natural, they become longer and bulkier without applying mascara, eyeliner and other cosmetic products. High price. Lift, conducted by a professional can cost several thousand nairas. Price depends on the skills of the master, salon reputation and, more importantly, products and brand, which is used for lift. Contraindications. Lift should not be held in the presence of any eye or eyelid skin diseases, unhealed cuts and wounds, inflammations and so forth. Pregnant and lactating ladies better to abandon the lift, since unstable hormones can trigger the occurrence of unanticipated effects of cosmetic product exposure. Cons are not the problem for you? Well, time to find salon, where you can do eyelashes lift on Jiji! The best specialists and the best prices are already waiting for you! What is the eyelashes lift procedure? Lift is a useful procedure for the eyelashes – a special solution envelops the hairs, making them grow longer, thicker and more luxuriant. The usage of keratin moisturizes, smoothes and nourishes each eyelash, giving it extra volume and length as the base ingredient. The procedure of keratin lift needs to be repeated approximately once in 2 months until the new hairs will not replace the old ones. The procedure does not have any negative effect either on the eyelashes or the eyelid skin. Gelatin lift can be carried out also for pregnant and lactating women. When properly carrying out the necessary actions and the subsequent care of eyelashes, you can make them well-groomed and healthy in the long term. To do this, you can use the usual gelatin, which is also capable to lift the eyelashes, but not for such a long period, as the brand cosmetic products. Prepare a solution of gelatin: pour 15 g gelatin with 45-50 ml of warm water, set on fire for 5 minutes, then remove from heat and add 15 grams of hair balm. Degrease and cleanse eyelashes from make-up, sebum, dust, and so forth. Apply moisturizer to the eyelid skin and put on them silicon caps (if not you have these, you can use a cotton swab, cut into 2 parts in the form of an arc, following the shape of the eyelid). Lubricate eyelashes with warm gelatin solution. For this, it is best to use a brush. 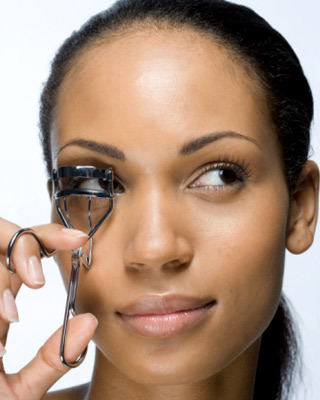 Hold gelatin on the eyelashes for 30 minutes, after which wash it off with warm water. After the eyelashes lift with gelatin, there is no hope for long-term effect, the procedure is unlikely to be able to compete with keratin lift. But with regular application, gelatin also possesses good qualities: it is able to enhance eyelashes, making them longer and thicker. Jiji – all products for your beauty are in one place! The undoubted pluses of lift is that it’s needless to carry any special care for your eyelashes. After the keratin lift procedure, avoid contact with water during the day, otherwise the effect will fade. Gelatin lift also does not require additional efforts to care for the lashes. You can continue to apply makeup, make a masks on any part of your face, swimming in salt and chlorinated water, visit bath, solarium and sauna, etc. 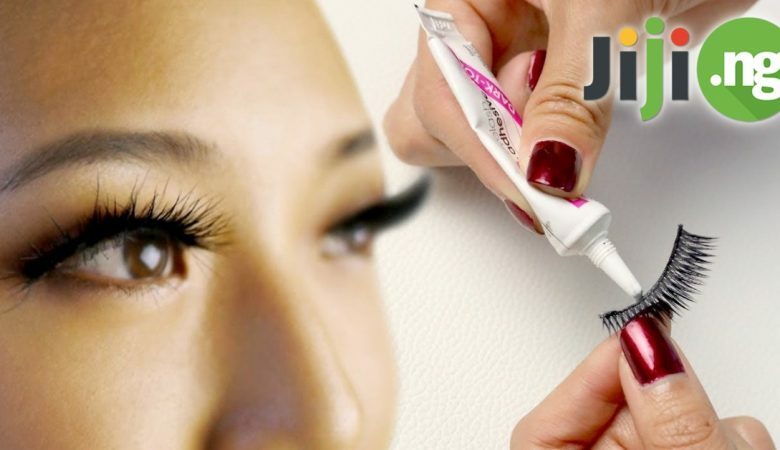 However, the basic rules for the care of your eyelashes has not been canceled: wash your face with proven products only, use high-quality cosmetics, which you can find on Jiji!